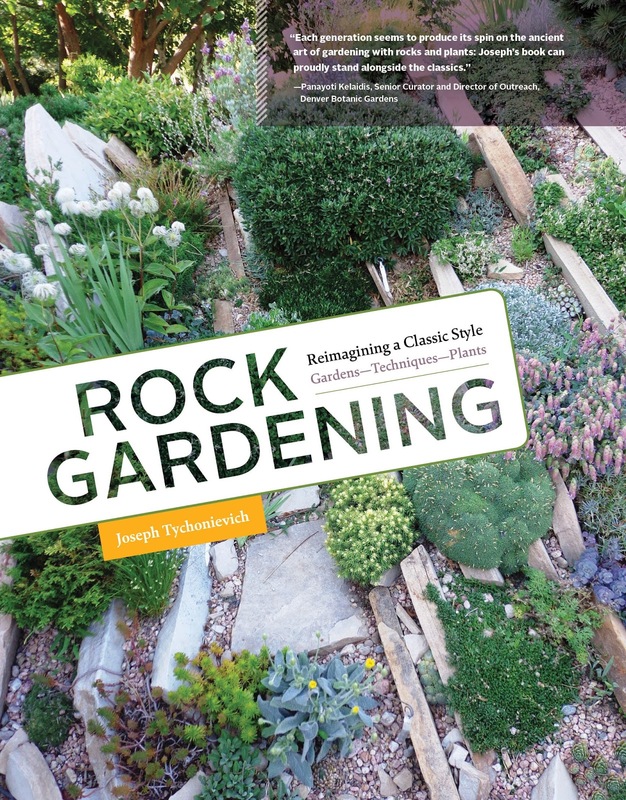 I'm a little late to the party when it comes to heaping praise upon Joseph Tychonievich's "new" book Rock Gardening: Reimagining a Classic Style. After all it was named an American Horticultural Society Book Award winner for 2017 (one of just 6 books to be so honored) and has been widely credited for helping to introduce a new generation to the art of rock gardening. I know Mr. Tychonievich and I was curious to see how his writing style would translate to a book (extremely well). 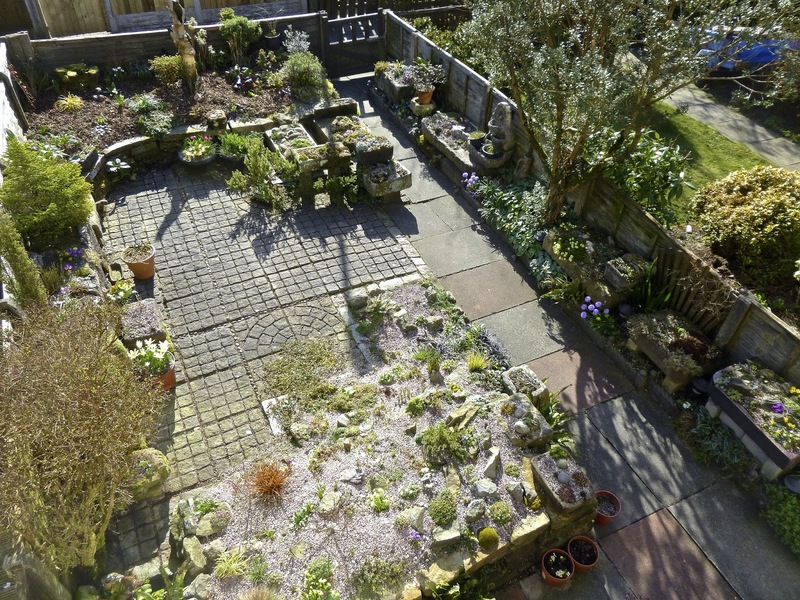 That said, this is not his first, that distinction goes to Plant Breeding for the Home Gardener. But since that topic is a little over my head/not really my jam, I didn't read that one. I'm still hopelessly in love with crevice gardens and hoped there would be a little coverage of that style of gardening in the book. And there is! 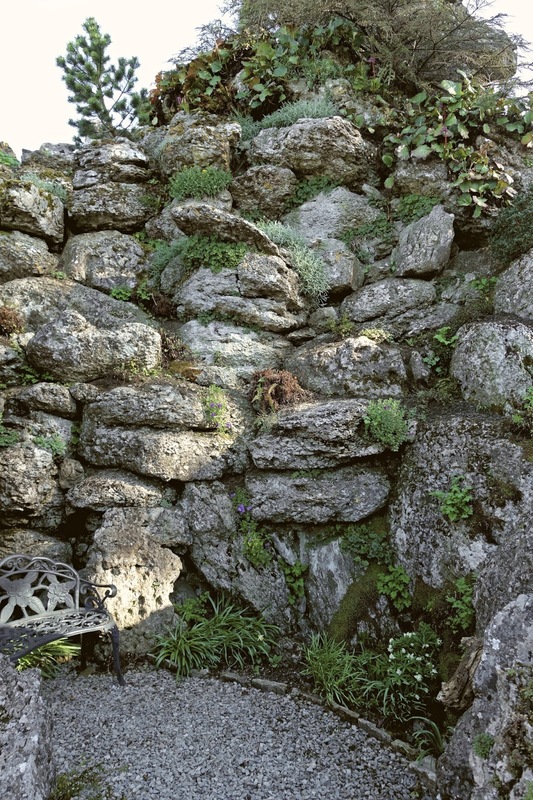 One of the things I like most about the book is that Joseph explores many different styles of rock gardens, and treats them all with equal excitement and curiosity. There was no pretension, no "well this is the "right way" to do it" attitude. And the layout of the book gets right to the meat, aka the garden visits. Joseph did his homework and visited 10 very different gardens, photos and text on each of those visits is right up front after the introduction. 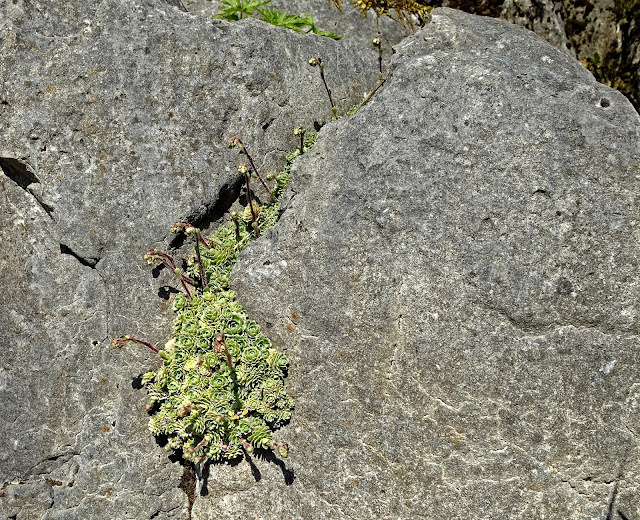 Masses of stone with Bergenia, from the Aysgarth Edwardian Rock Garden. The gardens vary widely, and there's something to learn from each one. One of his visits, to the garden of Phyllis Gustafson, is in Medford, Oregon. I first learned of her garden while researching an article I wrote on crevice gardens for the Oregon Association of Nurseries (here, if you're curious). I really should try and visit sometime soon. After the garden visits Joseph rounds out the book with sections on rock gardening techniques (styles and construction, soil, containers, climate, getting (and making) more plants) and then an in-depth look at the plants themselves, the ones that thrive in a rock garden environment. Here Joseph doesn't stick to just the traditional rock garden plants, but shares over 100 pages of different types such as Cacti, Conifers, Daphnes, Hosta, as well as those more commonly thought of such as Saxifrage and Sempervivum. Worth a closer look! Coincidentally, I'm headed off to my own local rock store this morning. Hope you found some good rocks (new project?) and yes, do check out the book! Rock on! Looks like a great read. I own this book and also think it's a good one. Joseph gave a talk to my local rock garden chapter and made a great case for getting younger people into rock gardening. And, he's now the editor of the North American Rock Garden Society Quarterly. He's an enthusiastic, fun speaker. I'm jealous! I tried to get my local group to see about bringing Joseph in for a talk, but they didn't think the subject would be wide reaching enough. He's such a great speaker and so knowledgeable that I keep thinking this book would be worth it on those counts alone. Nice review. I do think someone who had no interest in rock gardening would still find this book worthwhile. 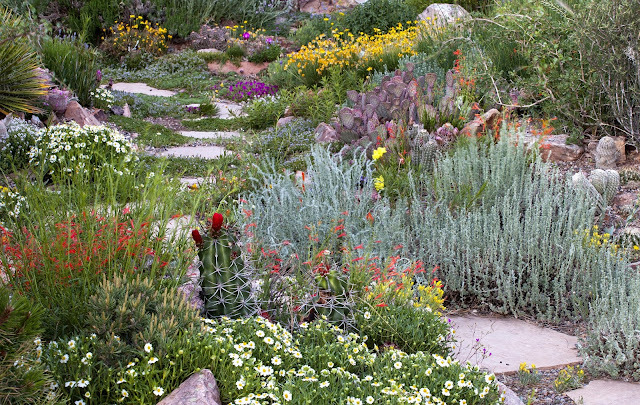 I'm delirious over rocks...one would think I's have a "rock garden". I'm sure going to order up this book.